Ever wonder what neighborhood commercial strips were originally set up to be walkable? Look no further than this map by George W. Simons, Jr. It presents an interesting look at zoning in Jacksonville during the Great Depression. Take a look at the areas labeled as business districts in the 1929 zoning map below. For the most part, they parallel the path of the city’s early streetcar lines. 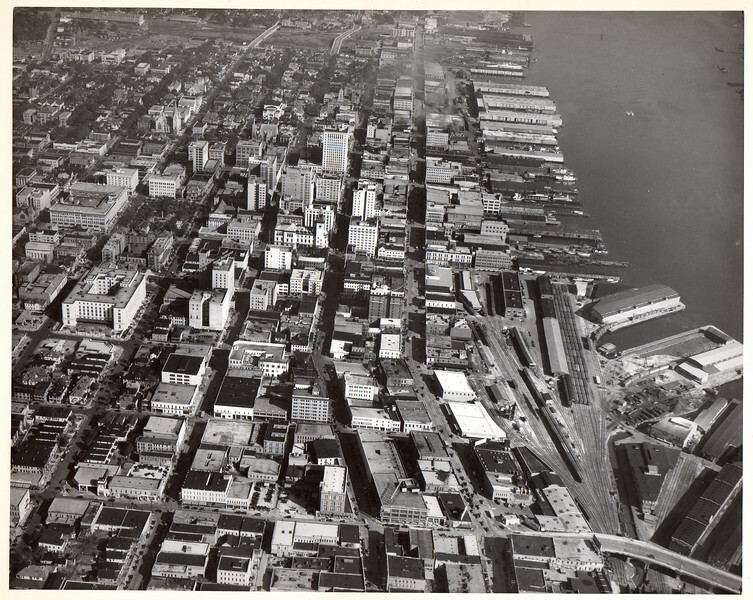 Established before the automobile took control of Jacksonville’s growth patterns, these areas were built to be pedestrian scale walkable commercial districts. The longest linear strips (Business A-In Residence Zone) appear to be Phoenix Avenue, Pearl, Main, 8th, Walnut Streets through Springfield, New Springfield, Brentwood and Phoenix. For a city trying to rediscover its lost urban core magic, a look into the past may provide better understanding of future opportunities. Zoning map, adopted by ordinance no. U-125, September 9, 1930. 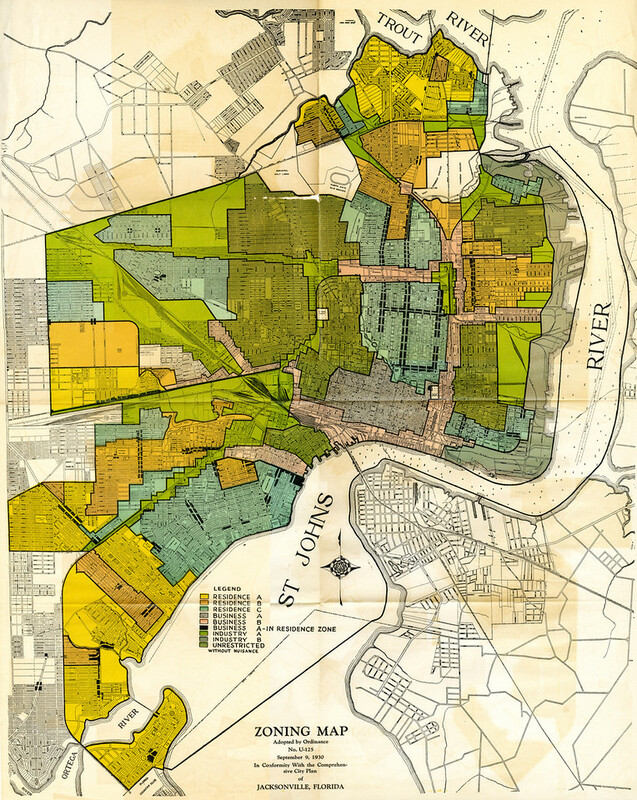 In conformity with the comprehensive city plan of Jacksonville, Florida. [Jacksonville, Fla. : Simons, 1930] Included in Comprehensive City Plan of Jacksonville, Supplement 1. About George W. Simons, Jr.
George W. (Washington) Simons, Jr. was a prominent Jacksonville city planner in the early 20th century. His preparation of Florida’s first comprehensive municipal plan (Jacksonville, 1929) launched his professional career as a municipal consultant, and over a forty year period he was retained by over seventy municipalities to prepare city, county, regional and zoning plans, reports and studies. His plans for major Florida cities include: Tampa, Orlando, Pensacola, Fort Lauderdale, and Miami Beach.